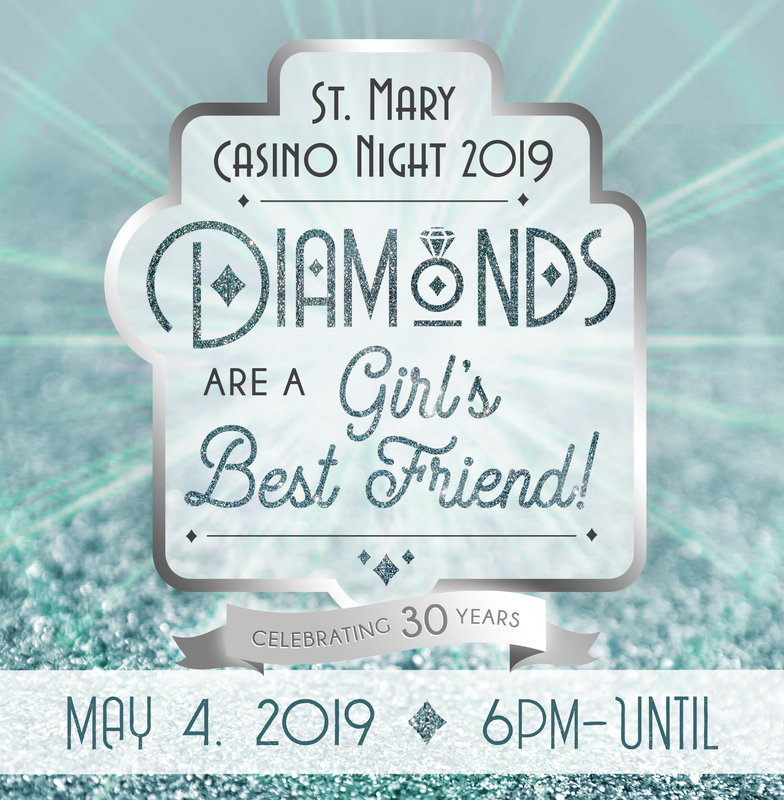 Your tickets will be available for pick-up at St. Mary School Office prior to the event, or at the check-in table the night of the event. Name to Appear on Special Dinner Ticket if Different from Above. 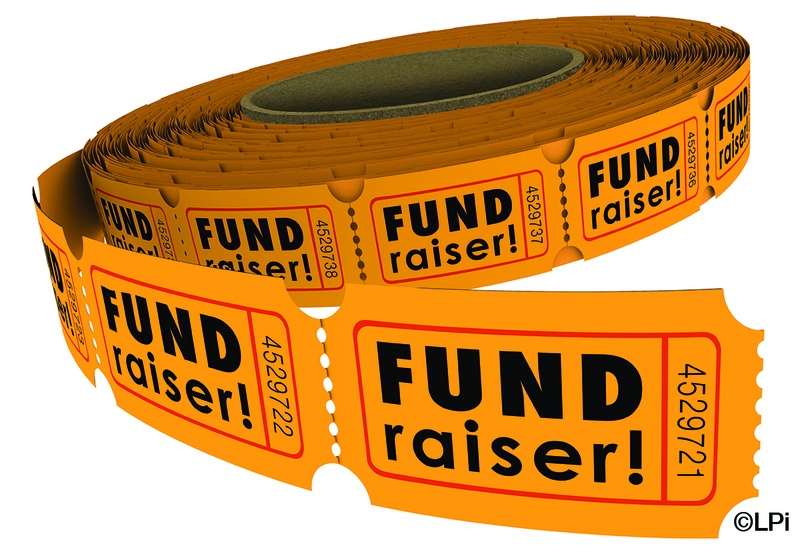 Give the quantity of the type of ticket(s) you would like to purchase. Don't forget to TIP your dealer!! 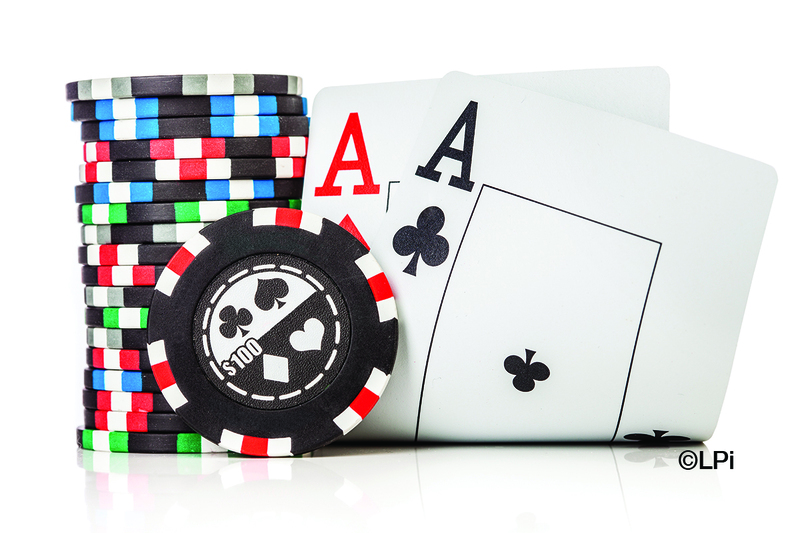 The dealer with the most "tips" wins! Minimum tip is $1. *All "tips" go to St. Mary School. Enter the amount you would like to tip Jason. Enter the amount you would like to tip Todd. Enter the amount you would like to tip Rob. Enter the amount you would like to tip David. Enter the amount you would like to tip Ray. Enter the amount you would like to tip Marsha. Enter the amount you would like to tip Patti. Enter the amount you would like to tip Joe. Select the type and quantity of raffle tickets you'd like to purchase. 300th Special Dinner Ticket Raffle $10.00 each: The winner of the 300th Special Dinner Ticket will have his/her name written on the 300th ticket stub and will be added to the final 10 tickets with the opportunity of winning $10,000 at Casino Night. Split the Pot- $1.00 each chance or 6 chances for $5.00- The winner will split the total amount raised from Split the with St. Mary Catholic School. Basket of Cheer - $1.00 each 6 for $5.00 The winner will recieve a large basket of spirits to enjoy at their leisure. "Which is Which? "- This is a little bit of extra fun! 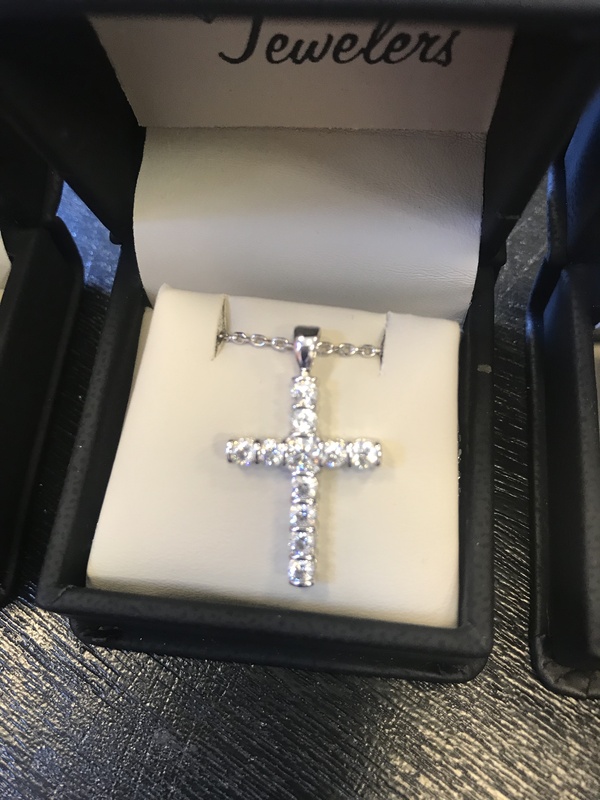 We have 3 beautiful crosses up for you to win. 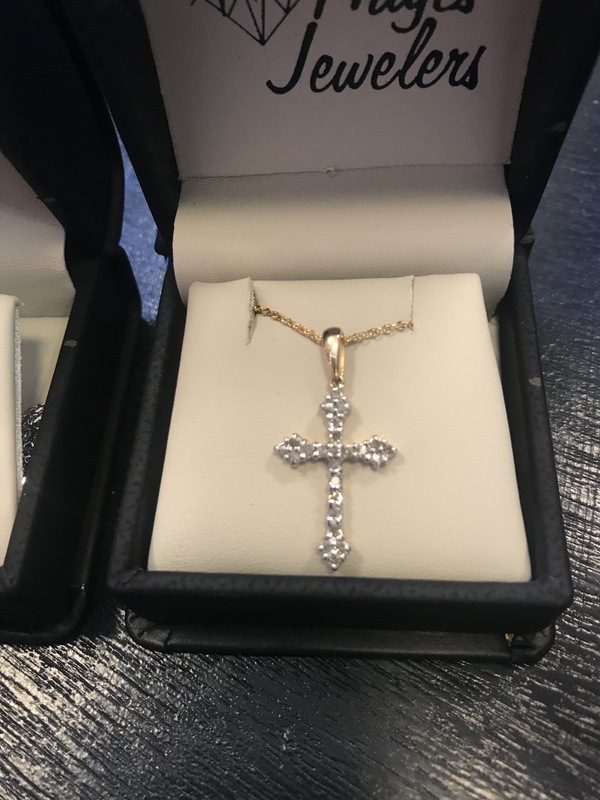 One of the crosses below is 10K gold with real diamonds, one is sterling silver with white sapphires, and one is sterling silver with cubic zarconia. Remember, gold can be white or yellow in color!! Can you tell which is which?? We'll announce the make of each necklace when we announce the winners. See one you like? See one you think is diamonds? Take a chance and buy a ticket. 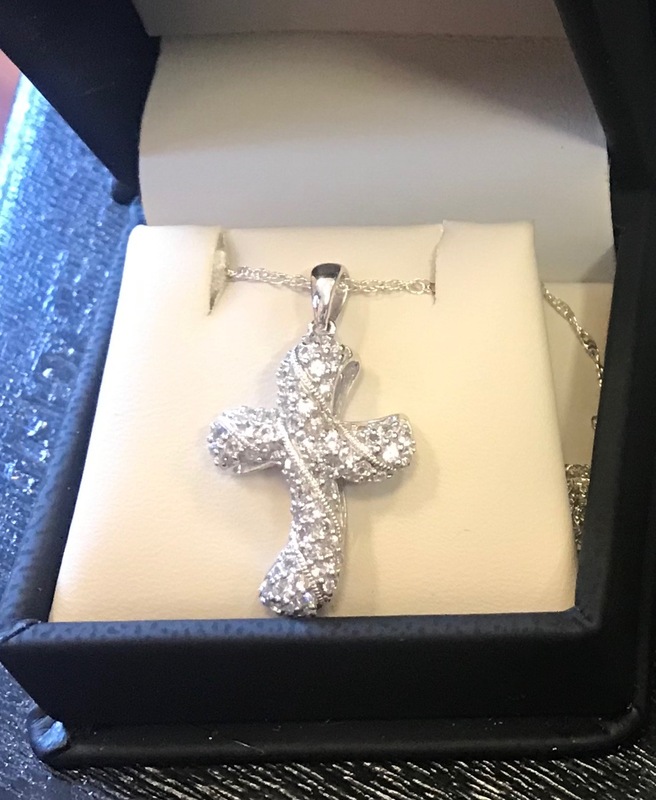 Either way, the winners all walk away with a beautiful piece of jewelry! I would like to make an additional donation to St. Mary Catholic. When you submit this form, you will be brought to the pay screen. Please select "one time donation" (this the total of all purchases) and then manually enter your total amount. Your tickets will not be held for you until you have checked out. Once you have submitted your payment, you may pick up your tickets in the school office or at the door the night of the event. Thank you for your support of St. Mary School!